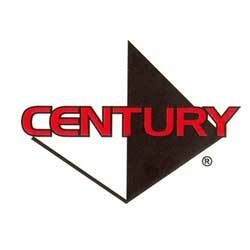 CENTURY MA sold at the lowest price, Guaranteed. Kungfu4less.com carries high-quality Century Creed martial arts products to help you train up to your potential. Products like the CENTURY BOB Body Opponent Bag, Century Creed MMA Training Gloves, the Original Century Creed Wavemaster Bag, for the martial art students, are available to purchase, at the lowest prices available. Stretching is a big part of martial arts training and the Century Versaflex Leg Stretcher can help you get limber so you can accomplish those specific techniques necessary in your training. The Century Creed MMA shin instep guards are built with micro-cell impact foam and fine leather which promises its durability and protection. The available MMA shin insteps are lightweight and offer best possible exposure to the dedicated student or instructor of martial artists. Furthermore, the available stock of century creed MMA shin instep guards makes a safe fit and prevent the wearer taking the hard knocks encountered while practicing the art. On the other hand, the unwrapped palm and stuffed thumb design provide a measure of protection for your hands, the fingers and palms.